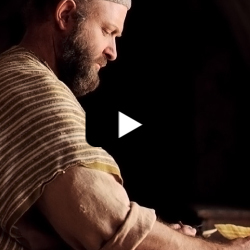 In this video, you will learn more about the foundation of apostles and prophets. However, first we’ll look at a question that many people ask. The question is: Did Paul write Ephesians? The answer is yes. Who are the Ephesians? They are the inhabitants of the city of Ephesus located in Turkey. Turkey was one of the stops on one of the many travels of Paul. Like in every other city where Paul taught, in Ephesus he also taught of Jesus Christ as well as apostles and prophets. Paul taught that Jesus is our peace (Ephesians 2:14). He taught that through Him, we have access to the Father (Ephesians 2:18). He taught about prophets and apostles, and He taught that as we accept Christ, we are “no more strangers and foreigners, but fellow citizens with the saints, and of the household of God” (Ephesians 2:19). Paul also taught an important doctrine (teaching) of the Church of Jesus Christ. He taught that we should be “built upon the foundation of apostles and prophets, Jesus Christ himself being the chief corner stone; in whom all the building fitly framed together groweth unto an holy temple in the Lord” (Ephesians 2:20-21). In other words, Jesus established His Church with apostles and prophets, and that was His pattern for His Church on the earth. So, why are there not apostles and prophets today. Shouldn’t there be if we are “built on the foundation of apostles and prophets”? When all the apostles died, the priesthood and power of God was taken from the earth. This dark time without apostles, prophets and the priesthood on the earth was called the apostasy. Centuries later, the reformers like Martin Luther and John Calvin made a valiant effort to create churches like the one Jesus established. They prepared the way for a restoration church - a church organized by Christ - the same way He organized His original church - with apostles and prophets. There was a restoration church established when God and Jesus Christ appeared to Joseph Smith in 1820. Jesus Christ restored His church through Joseph who was given ancient records to translate which were the history of the ancient inhabitants of the Americas including Jesus Christ’s visit to the Americas. This book is called the Book of Mormon. The Bible is the word of God, and the Book of Mormon is the word of God also. Order your own free copy of the Book of Mormon to the right.